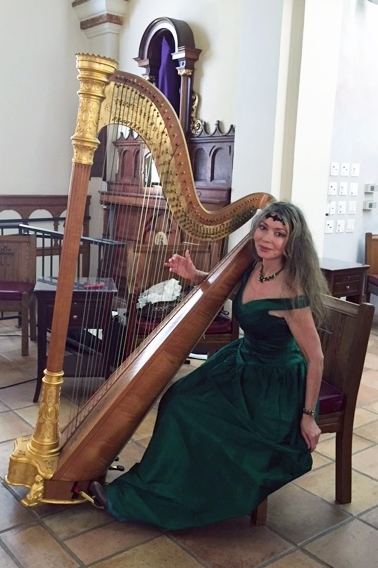 San Diego wedding harpist and soprano, Dr. Marsha Long is available to put at your disposal her world class knowledge and talent to make your wedding ceremony as beautiful as your love. 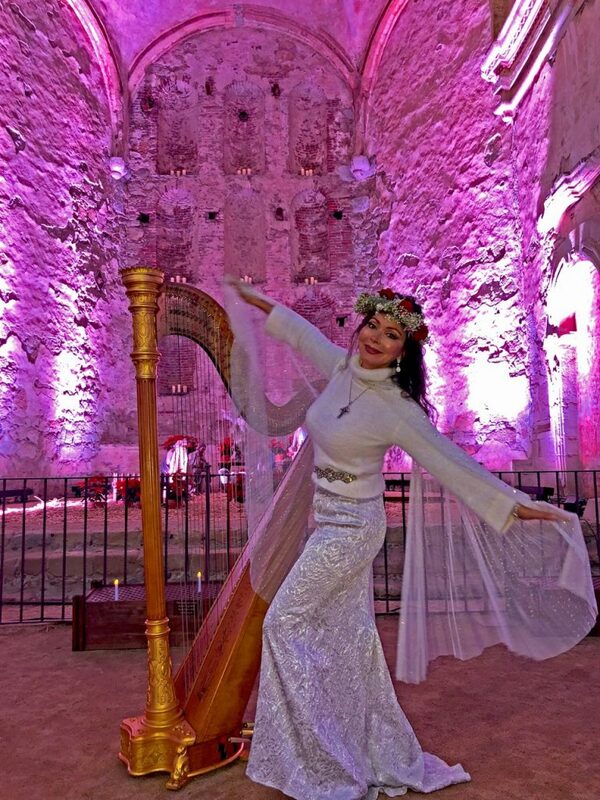 For more information on this talented musician visit the Wedding Music page. 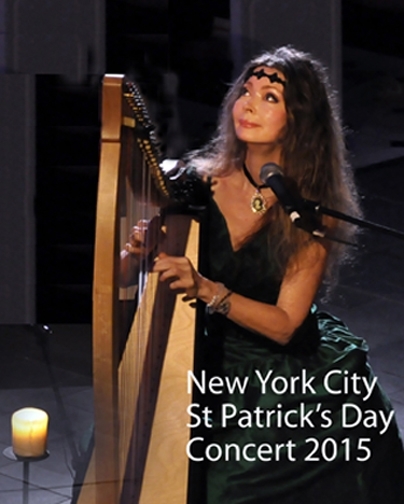 Marsha Long has two Master’s Degrees and a Doctorate of Musical Arts from the Juilliard School. 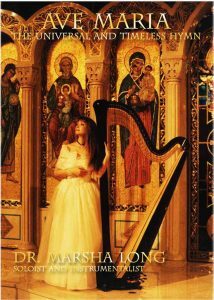 Dr. Long obtained her Diplôme de Concertiste from France’s Conservatoire National de St. Maur with highest honors. 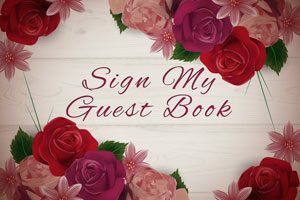 Listen to Marsha Long and get inspired! Thank you very much to all for attending the beautiful sold out evening at the Mission San Juan Capistrano. I really enjoyed playing for you on this special occasion of the Tree lighting. Have a blessed Christmas Season! Her program bristled with bravura showpieces…yet Long dispatched them with apparent nonchalance. With her immaculate technique and colorful approach to registration. … she has built an international career in a relatively short time. Long is an artist who gets all the elements of her performance impeccably right, and yet still produces telling, thrilling, and musically compelling performances. Sumptuous… Long’s playing is vital and robust. If you want a feast of superb organ sound plus virtuoso playing of a very high order, here it is. Long’s superb performances of 26 versions of Ave Maria range from haunting (Je vous salue Marie) to winsome (Üdvozlégy, Maria!) to ethereal (Arabic Ave). There’s even an American Pop version. Long’s rich Soprano and practiced instrumentals make this an album you can listen to again and again. 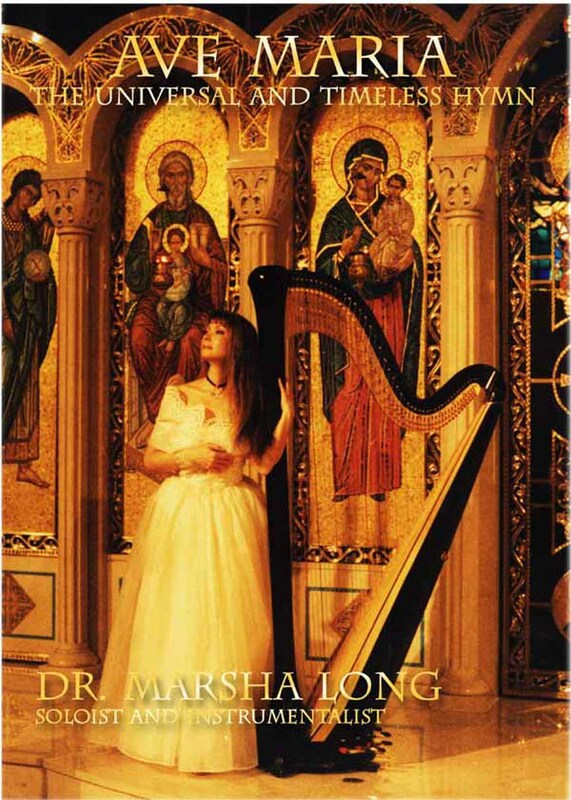 Marsha Long’s album Romantic French and German Organ Music is still, in my opinion, the most ‘atmospheric’ solo album ever recorded on the remarkable Skinner/Aeolian-Skinner instrument at St. John the Divine Cathedral in New York.